May 25, 2016–An American aircraft, a TBM-1C Avenger,missing since July 1944 was recently located in the waters surrounding the Pacific Island nation of Palau by Project RECOVER — a collaborative effort to combine the most advanced oceanographic technology with advanced archival research methods to locate aircraft and associated Americans missing in action (MIA) since World War II. Scattered among the lagoon waters and coral reefs surrounding Palau’s island chain, and concealed within its dense mangrove forests, are several dozen U.S. aircraft and the remains of as many as 80 U.S. airmen. 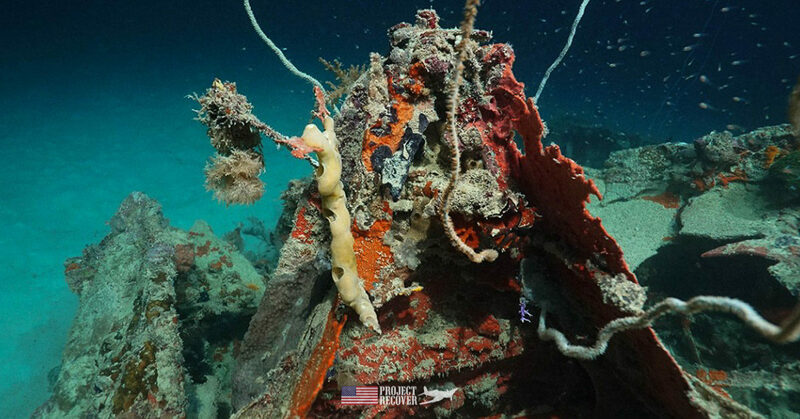 This U.S. Navy TBM-1C adds to the growing list of wrecks discovered by Project RECOVER. The most recent find was made possible by a substantial financial commitment from Dan Friedkin, founder, and chairman of Air Force Heritage Flight Foundation and chairman of Gulf States Toyota and The Friedkin Group. As a member of the Project RECOVER team, Friedkin’s continued support is helping sustain ongoing missions, while enabling the organization to innovate its technology and expand its search and discovery efforts to focus areas around the world. 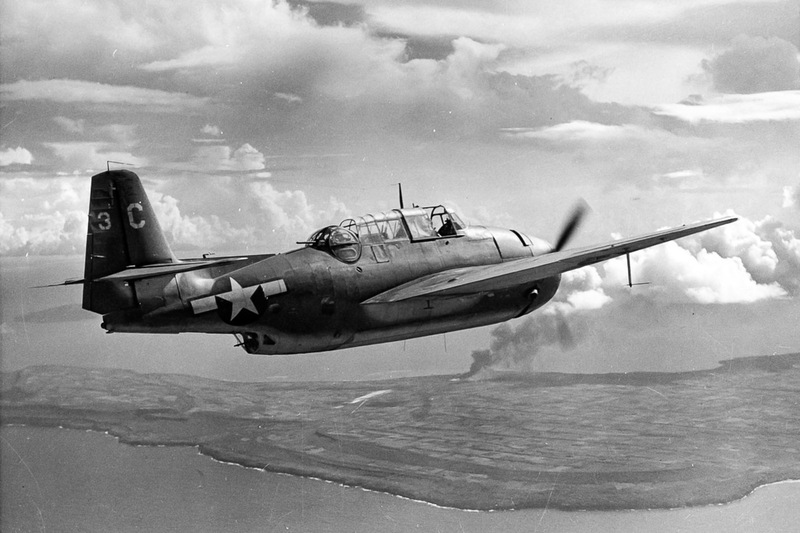 Upon locating this TBM-1C Avengerand other U.S. aircraft, Project RECOVER provides detailed information about discovered wrecks and possible links to airmen listed as missing in action to the Department of Defense’s Defense POW/MIA Accounting Agency (DPAA). DPAA is tasked with recovery and repatriation efforts, including notification of the families of these MIAs. Financial gifts to this cause are shared among Project RECOVER’s three founding entities — the University of Delaware, Scripps Oceanography, and the BentProp Project (a non-profit organization). Funds are being used in the development of technology, data processing, and analysis, and field efforts that lead to discoveries of World War II wreckage and their associated MIAs. All three member organizations recently signed memorandums of understanding with DPAA to formalize their public-private partnership with the U.S. government for conducting MIA related searches. Established in 2012 with initial support from the Office of Naval Research and now private funding, Project RECOVER is a partnership among researchers at the University of Delaware’s College of Earth, Ocean, and Environment, Scripps Institution of Oceanography at the University of California San Diego, and the BentProp Project. The work blends historical data from many different sources to narrow underwater search regions with scanning sonars, high definition and thermal cameras, advanced diving, and unmanned aerial and underwater robotic technologies. While the bulk of the project to date has focused on searches in the Pacific Islands of Palau, the methods will now be applied to the many regions across the globe where servicemen are still missing. Dan Friedkin is chairman of The Friedkin Group, a consortium of automotive, adventure, hospitality, and entertainment companies. These organizations include: Gulf States Toyota, Gulf States Financial Services, GS Marketing, US AutoLogistics, Auberge Resorts Collection, Iconic Properties, Legendary Adventures, and Imperative Entertainment. Houston-based Gulf States Toyota, founded in 1969, is one of the world’s largest independent distributors of Toyota and Scion vehicles and parts, serving 155 dealers in Arkansas, Louisiana, Mississippi, and Oklahoma. Friedkin is chairman of the Texas Parks and Wildlife Commission and the founder and chairman of the Air Force Heritage Flight Foundation, a non-profit organization established to honor the men and women of the U.S. Air Force through Heritage Flight displays. He also flies right wing for the Horsemen Flight Team. In addition, he oversees the Friedkin Conservation Fund, a charitable organization established by the family working to conserve the habitat and wildlife on more than seven million acres in Tanzania. The Friedkins have also contributed over $100 million to support wildlife conservation and anti-poaching efforts in East Africa. University of Delaware’s College of Earth, Ocean, and Environment (CEOE) strives to reach a deeper understanding of the planet and improve stewardship of environmental resources. CEOE faculty and students examine complex information from multiple disciplines with the knowledge that science and society are firmly linked and solutions to environmental challenges can be synonymous with positive economic impact. The University of California San Diego is a student-centered, research-focused, service-oriented public institution that provides the opportunity for all. Recognized as one of the top 15 research universities worldwide and born of a culture of collaboration, UC San Diego sparks discoveries that advance society, drive economic growth and positively impact the world. For the sixth consecutive year, UC San Diego has been ranked first in the nation based on research, civic engagement and social mobility.